Unlocked BlackBerry Z10 for $199 | BlackBerry Blast! BlackBerry is offering $200 off an unlocked BlackBerry Z10 between Black Friday and Cyber Monday. 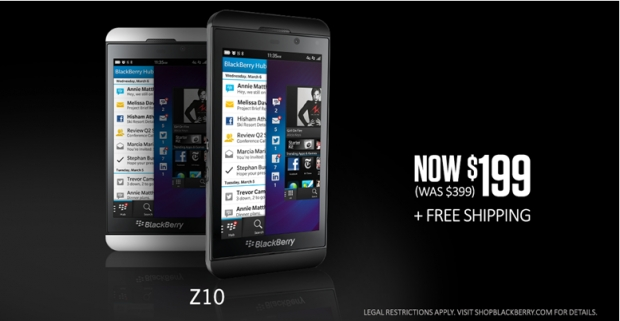 You can pick up your unlocked BB Z10 for only $199. The best part is you can pick up the former flagship BlackBerry 10 smartphone without a commitment to any carrier. The offer ends December 2, 2013, or while supplies last because quantities are supposedly limited. To take advantage of the sale go to the Source link below and enter the code: BFEMAILZ10 at checkout.